The timely delivery of your orders is very important to us. Depending on your shipping method selected during checkout and the availability of the items purchased, your order can take up to six weeks to be ready for delivery. Urgent orders will usually ship within five business days after receipt of order (ARO). For large orders, we may contact you to authorize partial shipments. Please e-mail "shipping@roos.com" or call Roos Instruments at 408.748.8589 (Monday - Friday 9 AM - 6 PM Pacific Time) to inquire about the status of your order. Standard orders within the United States usually ship via UPS 2nd Day or FedEx Express. All international orders ship via UPS Priority Worldwide. If available, we will always use the most practical method of shipment. Please allow up to six weeks for delivery, although most orders are fulfilled within two weeks. Partial shipments are never made for Standard orders. Urgent orders allow you to idenitfy items that are mission critical or need to meet a tight timetable, so they are expedited through the allocation process. Depending on weight and dimensions of your order, shipments within the United States will usually ship via UPS Next Day Air or FedEx Express. Please allow up to 1 week for delivery, although we will ship next day if possible. All International orders will be shipped via UPS Worldwide. Partial shipments, at your expense, may be made when appropriate. N/A (Not Applicable) This option is intended for customers who want to use a freight forwarding service or pick up from (FOB) RI's shipping docks. You must arrange for pick-up of your order from our shipping docks in Santa Clara. You will receive an e-mail confirming a date when your order is ready for pickup. Please allow up to six weeks before your order is available for pickup. We use SSL (Secure Sockets Layer) encryption to protect your payment information. Most browsers will show a lock icon in the bottom status bar on secure pages. Look for this icon on the payment screen. Credit Card payments are handled in two phases. When the order is submitted by you, the credit card is "marked" with the total of your order. It will appear as a temporary transaction, reducing your available credit, but not appearing as a charge. When your order is shipped, we will "settle" the payment and the full amount will be charged against your card. We accept Master Card, Visa and American Express. Purchase Order payments will be immediately deducted from your OpenPO amount that is established by your Company Account Administrator. If you would like to pay with a "new" purchase order (not an OpenPO), then you must "Generate Quote" from the shopping cart. Online Quote (Submitted as an order) This is different from paying for an order online with an OpenPO. If you choose to generate a quote from your shopping cart and submit the quote as an order, we will wait to receive a purchase order specifically referencing your order number. Quotes are only valid for 30 days. If you would like to arrange payment (other than through a purchase order), please contact an RI sales representative in your region. 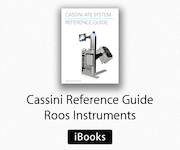 An OpenPO is a purchase order, arranged ahead of time with Roos Instruments, specifically designed to allow authorized "Full Users" to purchase RI Kits against a set limit. Think of it as a credit line that Roos Instruments issues invoices against. The OpenPO can also be arranged to work with your organization's accounting system by specifying buying agent information or a reference number (i.e. authorization code or employee badge number). Your company will be invoiced according to the terms of the OpenPO; payment is due within 30 days of shipment. If you would like to establish an OpenPO, please contact RI sales representative in your region. All payments made by purchase order must be paid within 30 days (Net 30) after receipt of order (ARO). All RI Terms and Conditions shall apply. You are responsible for all export expenses including duties and taxes. The carrier (shipping company) handles customs and charges fees C.O.D. or to your business carrier account. All shipments (except N/A) are made "Prepaid," where Roos Instruments pays all shipping charges; consignee or importer (you) pays duty and Value Added Tax (V.A.T.) that is billed through the shipper. To cancel your order, please email orders@roos.com or call Roos Instruments at +1-408-748-8589, Monday - Friday 9am-7pm Pacific Time. If you cancel an order prior to the scheduled shipment date, you may be subject to a charge up to equal to the total price of the purchase order. Any changes to our shipping and payment policies will be posted to this page.